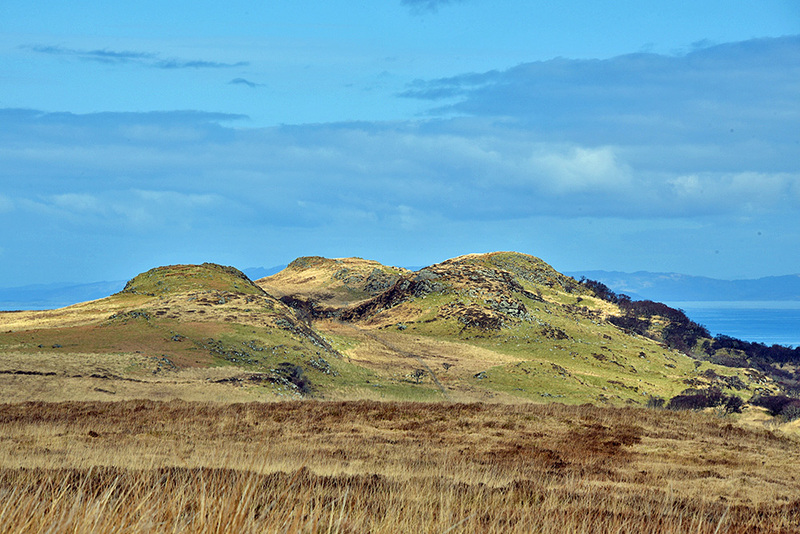 I’m not sure about their real name (I think the one in the middle might be Cnoc Mór na Clagain), but when I noticed these three hills during a walk in the south east of Islay I couldn’t help being reminded of their much bigger cousins, the Paps of Jura. This entry was posted in Cloudy Weather, Landscape, New Post, Sunny Weather and tagged Islay, Paps of Jura by Armin Grewe. Bookmark the permalink.